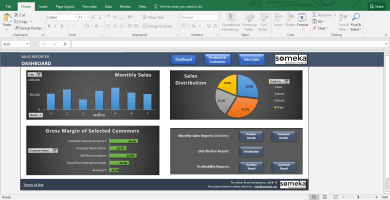 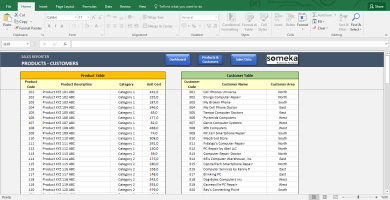 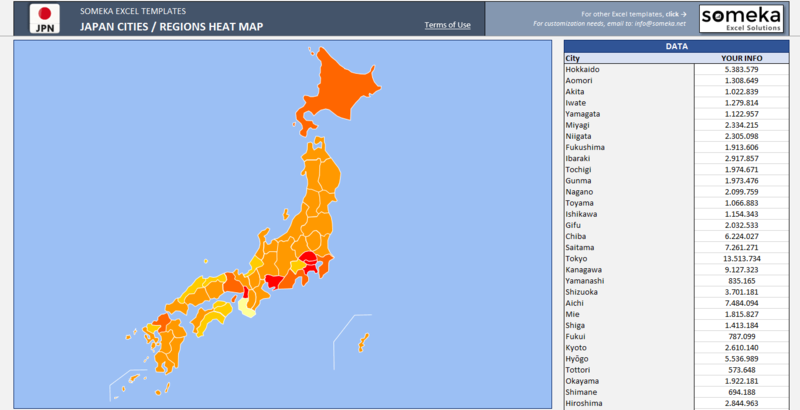 Unique Excel Template to generate Japan Heat Map. 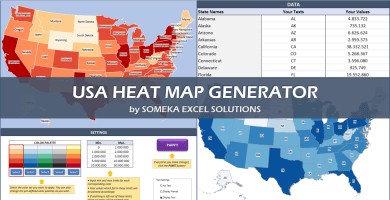 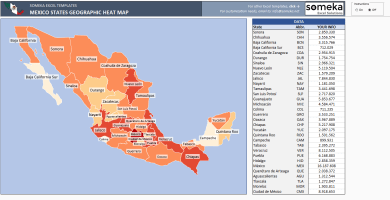 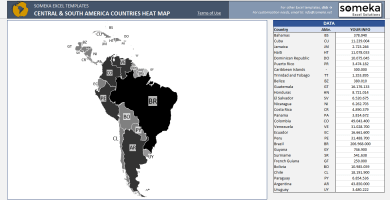 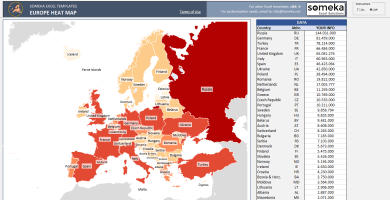 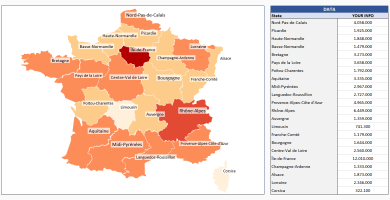 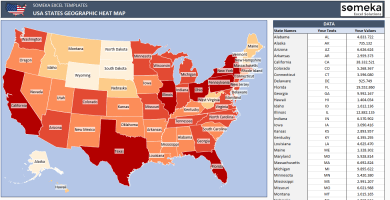 Just put your data and your printable Geographic Heat Map will be generated automatically. Your heat map gets ready automatically within a few minutes! 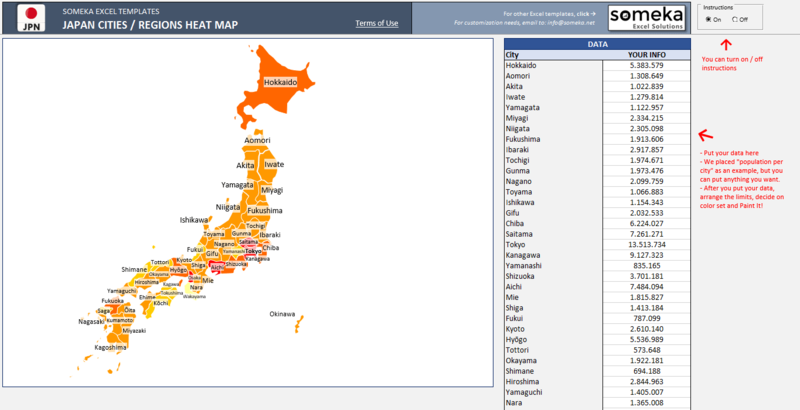 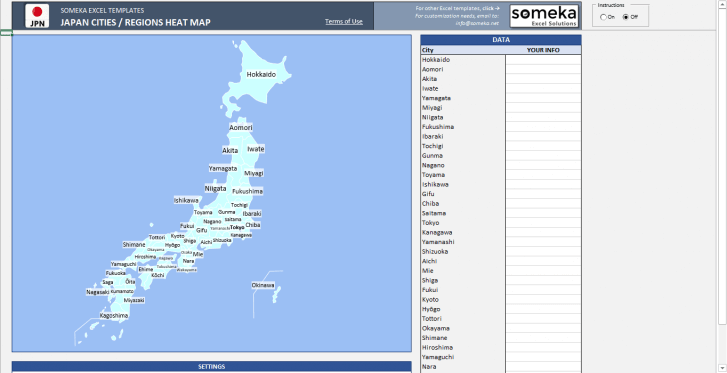 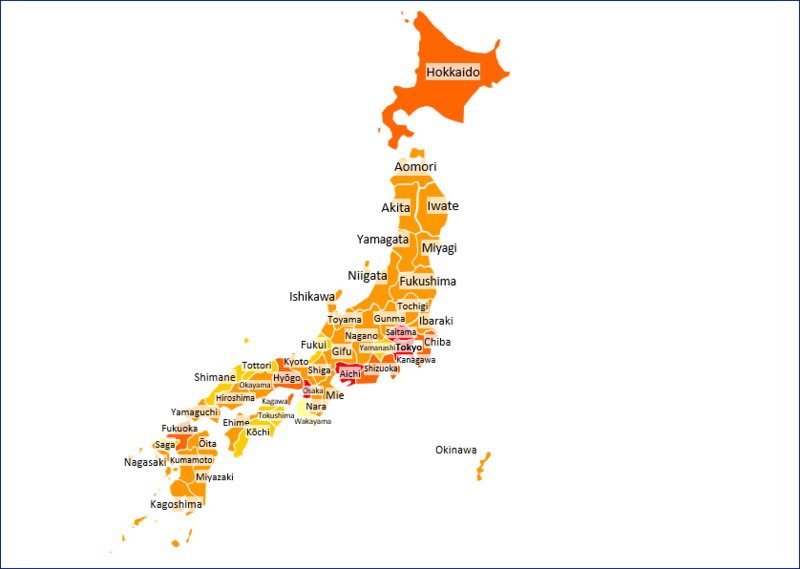 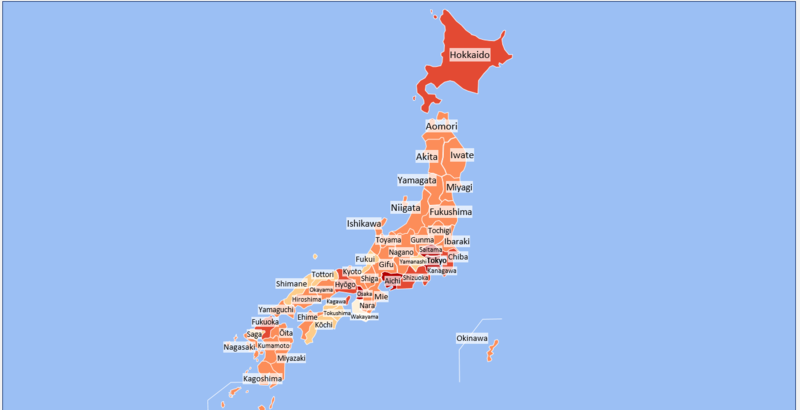 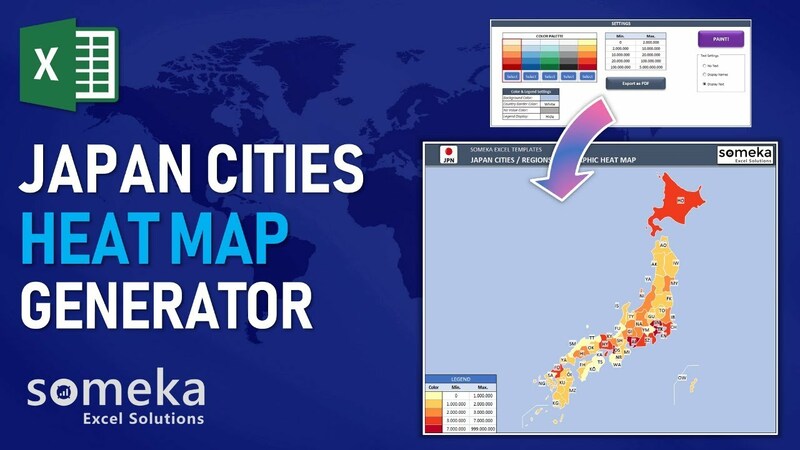 CREATE A JAPAN GEO HEAT MAP IN MINUTES! 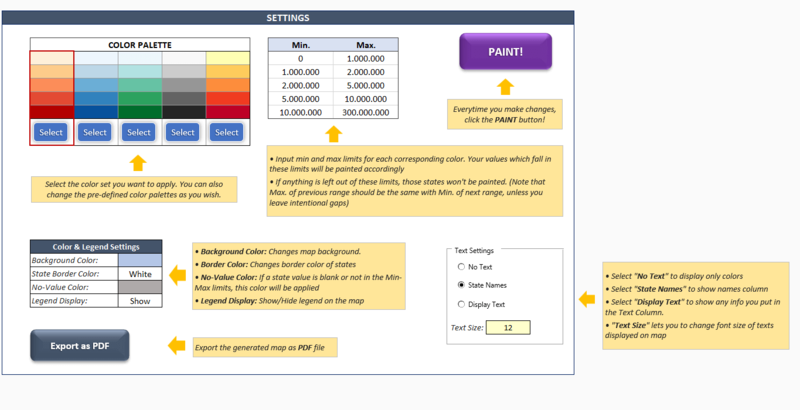 You will be able to choose 1 of 5 color sets. On the other hand, you can modify colour sets as you like.